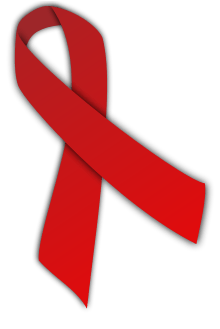 A symbol is a mark, sign, or word that indicates, signifies, or is understood as representing an idea, object, or relationship. Symbols allow people to go beyond what is known or seen by creating linkages between otherwise very different concepts and experiences. All communication (and data processing) is achieved through the use of symbols.Symbols take the form of words, sounds, gestures, ideas or visual images and are used to convey other ideas and beliefs. 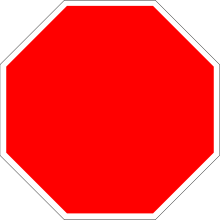 For example, a red octagon may be a symbol for "STOP". On a map, a blue line might represent a river. Numerals are symbols for numbers. Alphabetic letters may be symbols for sounds. Personal names are symbols representing individuals. A red rose may symbolize love and compassion. The variable 'x', in a mathematical equation, may symbolize the position of a particle in space. The word derives from the Greek symbolon (σύμβολον) meaning token or watchword. It is an amalgam of syn- "together" + bole "a throwing, a casting, the stroke of a missile, bolt, beam." The sense evolution in Greek is from "throwing things together" to "contrasting" to "comparing" to "token used in comparisons to determine if something is genuine." Hence, "outward sign" of something. The meaning "something which stands for something else" was first recorded in 1590, in Edmund Spenser's Faerie Queene. Burke goes on to describe symbols as also being derived from Sigmund Freud's work on condensation and displacement, further stating that symbols are not just relevant to the theory of dreams but also to "normal symbol systems". He says they are related through "substitution", where one word, phrase, or symbol is substituted for another in order to change the meaning. In other words, if one person does not understand a certain word or phrase, another person may substitute a synonym or symbol in order to get the meaning across. However, upon learning the new way of interpreting a specific symbol, the person may change his or her already-formed ideas to incorporate the new information. ↑ Campbell, Joseph (2002). Flight of the Wild Gander:- The Symbol without Meaning. California: New World Library. p. 143. ISBN 1-57731-210-4. ↑ Campbell, Heinrich Zimmer; edited by Joseph (1969). Philosophies of India (9. paperback print. ed.). Princeton: Princeton Univ. Press. pp. 1–2. ISBN 0-691-01758-1. 1 2 Womack, Mari. Symbols and Meaning: A Concise Introduction. California: AltaMira Press, 2005. ↑ Jean Dalby Clift, Core Images of the Self: A Symbolic Approach to Healing and Wholeness. Crossroad, 1992. ↑ Tillich, Paul (1964). Theology of Culture. Oxford University Press. p. 58. ISBN 0195007115. ↑ Tillich, Paul (1964). Theology of Culture. Oxford University Press. p. 59. ISBN 0195007115. ↑ Smart, Ninian (1979). The Phenomenon of Christianity. Collins Press. pp. 283–4. ISBN 0002151154. ↑ Tillich, Paul (1964). Theology of Culture. Oxford University Press. p. 54. ISBN 0195007115.